Indulge yourself with “Scoop it Up” and you won’t gain a pound. 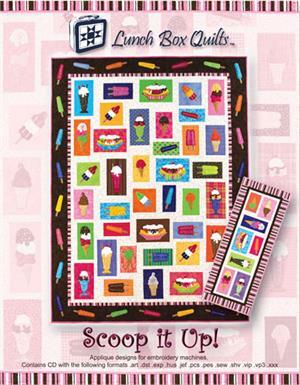 Nine embroidery appliqués make up this frozen treat themed quilt. 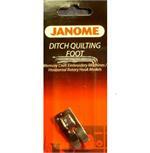 Two quilt patterns are included to make a 23” x 55” table runner or a 60” x 80” quilt..